Lorraine Paton: Paula Martin - What to Read Thursday! 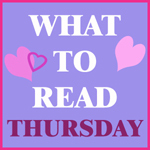 “What to Read Thursday” is posted every other Thursday (For previous posts, click here.) The focus of these Thursdays will be on romance novels. Sub-genres of romance are welcome, but Happily-Ever-After (or Happy-For-Now) endings are mandatory. :) The authors are given approximately twelve questions, from which they choose five to answer. This week, I'm thrilled to welcome Paula Martin to my blog! 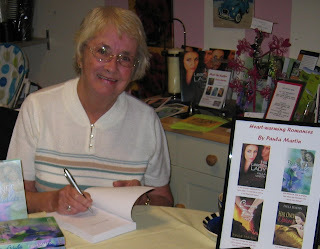 I first met Paula through the now defunct Six Sentence Sunday blog hop, where she posted wonderful excerpts from her books. 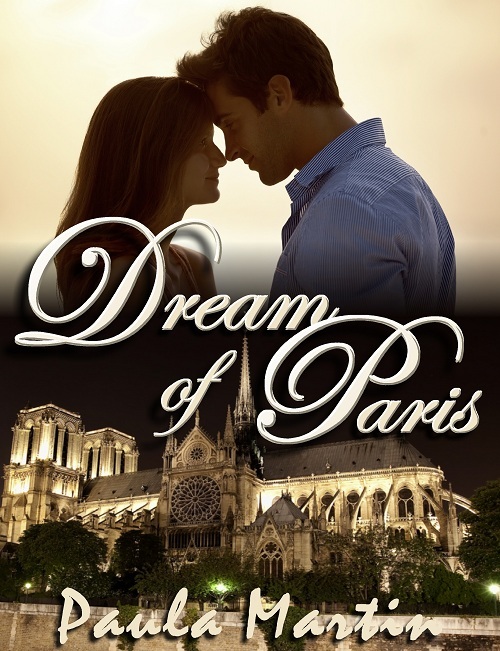 Today, Paula is talking about her latest release, Dream of Paris, and I can't wait to learn all about it! Anna Richards has a dream of going to live and study in Paris, but when Matthew Carlton comes into her life, her dream changes direction. Attraction sparks between them, but Matt’s behaviour is strangely inconsistent. Anna is shocked when she discovers the reason and is sure there is no future for them. Can Paris work its magic and make her dream come true? Question 1: Is there a particular song you associate with this story? If so, what is it and why? Paula: There are actually two songs, both linked with Paris and France 'Under the Bridges of Paris' (which actually sounds much more romantic when sung in French!) and the emotional 'J'Attendrai' (I will wait) which the hero give to the heroine when she is about to go to Paris for a year. It's a beautiful song son, needless to say, it brings tears to my heroine's eyes. Lorraine: Doesn't everything sound romantic when sung in French? ;) I'm not familiar with either of those songs... I'll have to track them down! Question 2: What was your inspiration for this story? Paula: The beautiful city of Paris. I first went there when I was in my teens, and have been back more times than I can count, but it’s still as magical as the first time I saw it. The Ile de la Cite with the beautiful Gothic cathedral of Notre Dame is my favourite part of the city, and so that plays a significant part in the story. Lorraine: It has been a long, long time since I visited Paris, but Notre Dame is still so clear in my mind. What an awe-inspiring cathedral - I can understand why you'd choose to have it play a significant part in the story. Question 3: What did you enjoy the most about writing this story? Paula: I enjoyed 're-visiting' Paris in my mind. Although it's several years since I was last there, I could picture all the places I wrote about as clearly as if I'd been there yesterday. I hope the readers will get a flavour of Paris as they read the story. Writing it definitely made me long to go back there again. Lorraine: That's wonderful! I can't wait to re-live Paris through your characters' experiences! Question 4: Where did you set your story and why? Paula: As I've said, Paris plays an important part in the story, but part of it is also set in a school in England where both the hero and heroine are teachers. As I used to be a teacher, I felt I would be familiar with the background setting. However, it's nearly twenty years since I took early retirement from teaching (and schools have changed a lot since then), so I had to check out a few things with my daughter who is now a teacher. She gave me some ideas about current initiatives and problems in schools, and also checked that what I had written was realistic! Lorraine: I'm sure there have been a few changes in twenty years, but some things have probably stayed the same too, right? It is great that your daughter could help with your research! Question 5: What's next? Do you have another story on your desk you'd like to tease us with? Paula: I've just finished the first draft of a new story called 'Irish Inheritance' - set mainly in Ireland, of course, as that is another of my favourite places. Here's the 'blurb' English actress Jenna Sutton and American artist Guy Sinclair first meet when they jointly inherit a house on the west coast of Ireland. Curious about their unknown benefactress and why they are both considered as 'family', they gradually work out their links to the original owners of the house. While they gradually uncover a nineteenth century love story, they struggle against their mutual attraction to each other. The two lovers in the past were destined not to have a happy ending, and it seems the same will happen to their two descendants - or will it? Lorraine: Oh! That sounds intriguing! What a great premise! I can't wait to read it! And, I've never been to Ireland, so I'd love to read about your characters' experiences there too! After crossing the main road that skirted the Seine, they descended the stone staircase to the walkway along the river, and slowed to a standstill as they drew level with the south transept of the cathedral, with its huge rose window. The streetlights reflected like silver pools in the river and, under the floodlights, the towers, spires, and flying buttresses of the cathedral stood in sharp relief to the dark sky. Anna gazed across the river. “It simply defies description, doesn’t it? All that stonework and carving, and all done by hand, too." Matt's hand tightened around hers, but when he didn’t reply, she turned to him. The soft heat that simmered in his eyes depths made the hairs on her skin stand on end. Everything inside her did a double somersault, but she stayed motionless, mesmerised as he leant towards her. Slowly, almost hesitantly, his lips brushed hers, in a brief and tender connection that sent warm pulses of pleasure dancing through her. When he moved fractionally away, she brought her hand up to grasp his arm. He let out a quiet groan and his mouth returned to hers, now intense and hungry. Stunned for a split second, she clutched his shoulders as her whole body weakened. He wrapped one arm around her while the other slid into the hair at the back of her head, pulling her closer to him. The tip of his tongue explored her lips and ignited every nerve in her body. Closing her eyes, she returned his kiss, relaxing her mouth and letting her tongue meet his in a sensual union. Tendrils of desire sprawled down into her depths, and she melted against him, gripping his arms as she slipped into some kind of oblivion where nothing else existed except him. This kiss she’d dreamed about was a million times more arousing than anything in her dreams, and time stood still. family and also pursued her career as a history teacher for twenty-five years. She has recently returned to writing fiction, after retiring from teaching, and has had five romance novels published since June 2011. She lives near Manchester in North-West England, and has two daughters and two grandsons. Apart from writing, she enjoys visiting new places and has travelled extensively in Britain, mainland Europe, the Middle East, America and Canada. Her favourite places are the English Lake District and Ireland. She’s also interested in musical theatre and tracing her family history. Thank you for checking out What to Read Thursday this week! And, thank you again to Paula for stopping by to talk about her book, Dream of Paris! Dream of Paris is set in Paris, Paula's upcoming book Irish Inheritance is set in Ireland, and some of her other books have been set in Egypt, England's Lake District and London's Theatrical West End... all of which are great holiday destinations! So, I want to know - what exotic destinations do you love to read about? I loved hearing about your inspiration! And, I can't wait to read your book and experience Paris all over again! I like being able to "travel" when I read, so I live romances that "take me places." You make me want to go to Paris right now - the most romantic city in the world, and those songs, sigh...Lots of luck with your writing career (not that you need it). Great excerpt. I love Paris, too, Paula, and just from the brief description you gave in the excerpt, I can picture almost exactly where they are. Love the excerpt! Armchair travelling is always fun, isn't it, Ana? Thanks for popping in! Thanks, Margaret. There seem to be so many romantic songs linked to Paris - but then it didn't get its title of 'City of Lover' for nothing! It's one place I always have to go when I visit Paris, Jen. I love that side view of Notre Dame. I've been to Paris once, it was beautiful, and dream of going to Ireland someday. My one and only (so far!) signing session, Debra! Paris is magical, and I hope you get to Ireland one day. I fell in love with it several years ago, and have been back about 10 times since then. It's great to find another novel that evokes Paris - great for actual and armchair travellers alike. Thank you for the interview! Many thanks, TF Team! Paris is a perfect setting for romance novels, isn't it? Amazing how a story can evoke a desire to go to a place, isn't it? Paula shared a wonderful excerpt, didn't she? Thanks for stopping by, Jennifer! What a wonderful recommendation, Toni Lynn! Thanks for stopping by and sharing it! I've never been to Paris, but reading a story set there sounds fabulous. I love novels that transport me to places I've never been. Also, I have to say I think that cover is awesome! I agree, Mae! I love Paula's cover! Well goodness, everything probably seems more fascinating and romantic in Paris. I've never been there. The closest I've ever been to France was when I took French in high school. Dream of Paris sounds like a very romantic story. Just thinking of a Frenchman with that exotic accent makes me flush. I love the beautiful cover, too. I've been to Paris. Perfect place for romance. Enjoyed your post and the excerpt. Great cover! Hope 'Dream of Paris' will give you a flavour of that beautiful city, Maeclair. I love the cover too, thanks to my great cover artist. Many thanks, Karen. I was thrilled with the cover too.